The idea of having all your favourite street food under one food court sounds too ambitious if you asked me. Difficult, but not impossible — and YTL Managing Director, Francis Yeoh made it happen. 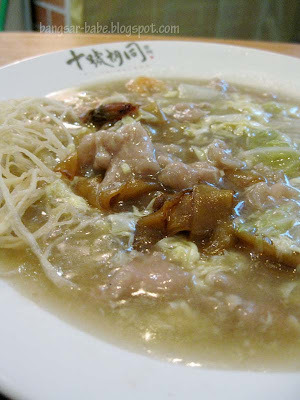 Bah Kut Teh, Hokkien Mee, Oh Chien, Porridge, Wantan Mee, Siew Pau or Lam Mee? They are now available at Hutong, Lot 10. Some poeple said the food was good and some said otherwise, so I went there recently to try the food for myself. This food court boasts different themes and colour schemes to create a contemporary look and feel. I found the arrangement of the place slightly confusing — the stalls are placed in between the dining area. 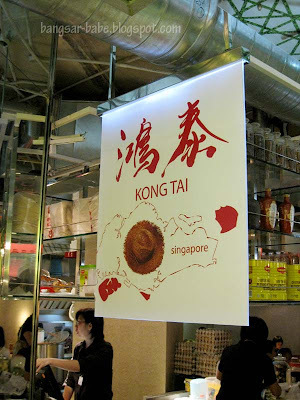 Though the food may be hawker style, prices are not cheap, and there is a 5% tax imposed on the food. 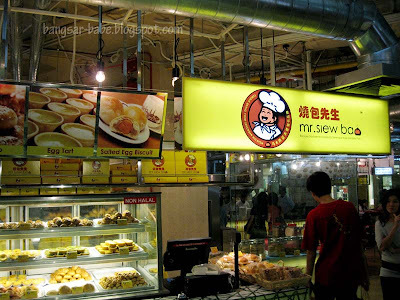 Some of the more popular stalls at the food court include Kong Tai, Kim Lian Kee (Hokkien Noodles), Ho Weng Kee (Wantan Noodles), Mo Sang Kor (Bah Kut Teh), Honkee Porridge and Bavarian Bierhaus. There are also dim sum carts from Luk Yu Tea House being pushed around the dining area, saving you the trouble of going all the way to the stall to order. rif went straight for the pork knuckle from Bavarian Bierhaus, while I took a while to decide on my order. The Pork Knuckle (RM33.50) was nice and crispy with a faint smoky aftertaste. Beneath the crackly skin were a thin layer of fat and a generous portion of tender meat. Portion was quite big; this could easily feed two small eaters. 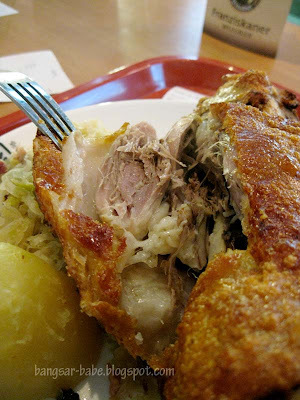 The piquant sauerkraut helped balance the richness of the meat. I thought the skin could have been crispier, but it was better than a lot of pork knuckles I’ve tried. Go easy on the brown gravy, as it is very salty. I learnt it the hard way, when I dunked the meat into the sauce. If there was something called a “salt-rush”, that would be it! 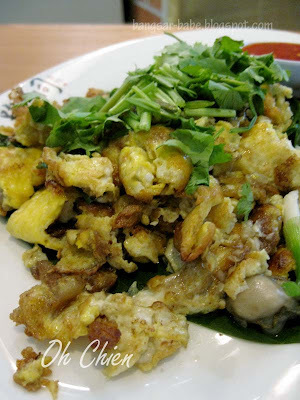 I ordered the Oh Chien (RM9.90) from Kong Tai, which turned out to be a huge letdown. On top of tasting bland, it was oily and soggy at the same time. They were stingy with the oysters; I counted three medium sized ones and another three the size of kidney beans. A waste of stomach space and calories. Not something I would order again. That was the biggest oyster! 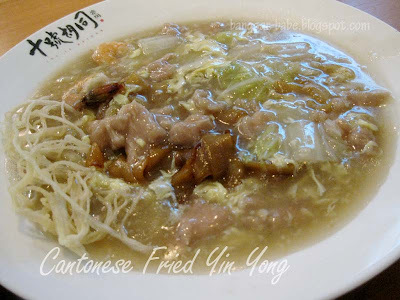 During my 30-min wait, I saw a foreign worker prepare the gravy for the Cantonese fried noodles. 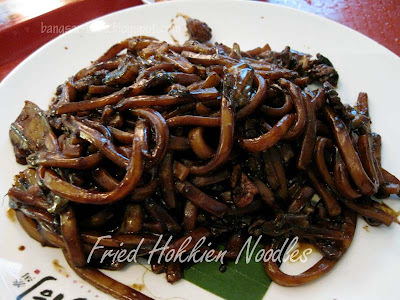 I hope they won’t be asked to fry the Hokkien Noodles — that would be a catastrophe. 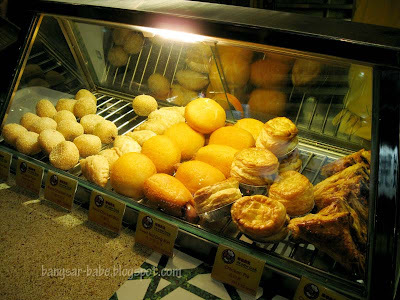 Mr Siew Pao is said to be the branch of the famous Kee Mei Siew Pau in Seremban. 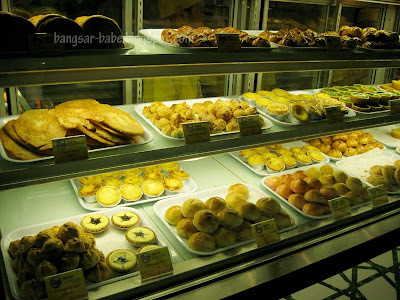 We bought some siew pau (RM1.50), curry siew pau (RM1.50), egg tart (RM1.20) and Portuguese egg tart (RM1.70) to try. 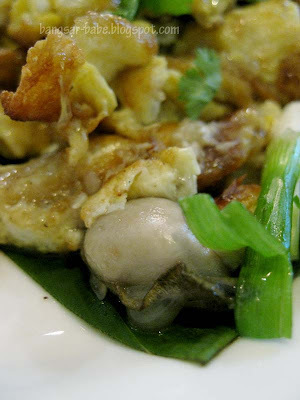 Forget the curry siew pau and stick to the normal version. There was very little curry flavour in the pau, and the filling ratio was way too little. The original siew pau was not bad, probably because I got the ones that were fresh out of the oven. 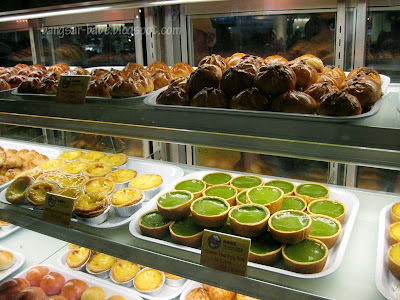 I got annoyed eating the Portuguese egg tart — the pastry was stuck to the aluminium casing. When I tried to separate the two, the pastry casing fell apart. *wails* Tastewise, it was alright, but I liked the plain egg tarts better. The food isn’t fantastic, but it certainly is better than the food at most food courts. Prices are slightly on the high side, and it gets pretty crowded during lunch hours. It’s best to come as early as 11am or risk waiting for a long time for a table and your food. Or worst, there might be none left for you! 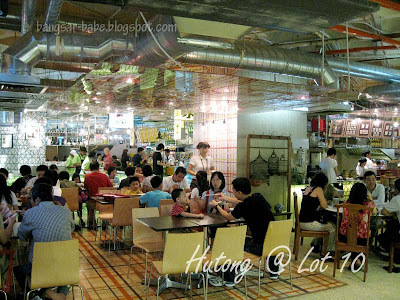 Verdict: Decent hawker food at shopping mall prices. Skip the oh chien. Brilliant! All under one roof! Ok..point taken, no oh chien! i'm one of those unfortunate souls who keeps missing the items that i really want! i'm only able to make it here for dinner, and EVERY TIME, the bak kut teh, popiah and wantan mee stalls are closed already… grrrrrrr…. 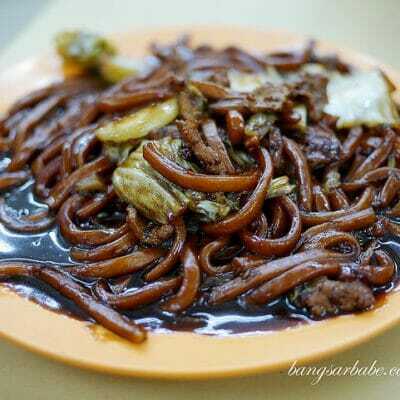 i agree that the hokkien mee's just decent. 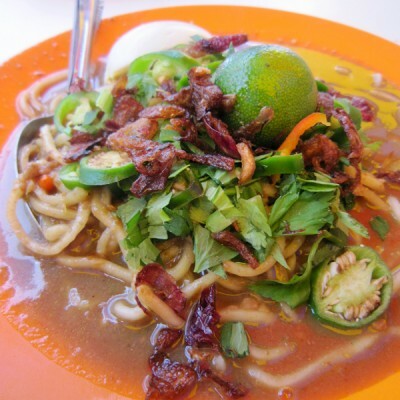 oh, i understand that they can mix the noodles as well..like meehoon+mee or kwayteow/mee. maybe that explains the long queue lah….sigh. happy new year to you and rif! Wow! 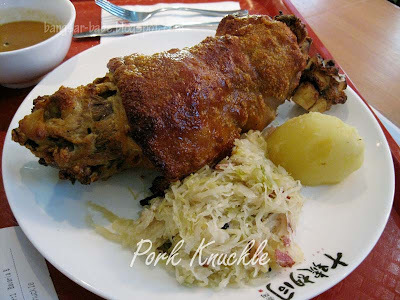 You can find Pork Knuckle in a food court? That's so great! 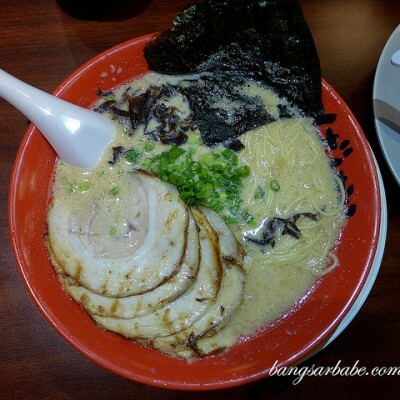 I went this place on new year eve, luckily I did not wait for the Hokkian mee, so long q..But my husband said the bah kut teh is nice. hhmm.. I am aiming for Le Petit Bouchoun or somethin of tht name..
is this the same place where they opened a new branch of that Hong Kee Porridge? This is the new place! Must go there and try!! this makes me wanna go to KL!!! Wilson & Rachel – Yes…must go try. Tummy Rumble – Yup…it is! nomad – Nah…I'm eyeing on the BKT and I want more pork knuckles! Sonia – That's what I heard too. babe_kl – Happy New Year to you too! Sean – Poor thing! Nvm…next time you go at 11am, sure got food wan! Joe – If they did use charcoal fire, it was a very bad job done. Couldn't taste any wok hei.